Our septic company was built on pride and determination, we invite you to share in our history and confidence and allow us to show you why we do not settle. One of my earliest memories is sitting on my Dad’s lap and reaching for the tape measure dependably secured to his belt. Before long I was measuring everything from Dad’s foot to the height of my bunk beds. By age seven I was proud to join Dad at his construction company’s job sites. Soon I was sweeping up. Eventually Tonka gave way to Caterpillar; then, within a decade I was running crews. As I grew he taught me every detail of every trade we provided. I did it right or I did it again. Eventually I ventured on to gain education and experience in all areas of construction operations. Dad’s passed on, and now I’m joined by others whose values and standards I share. 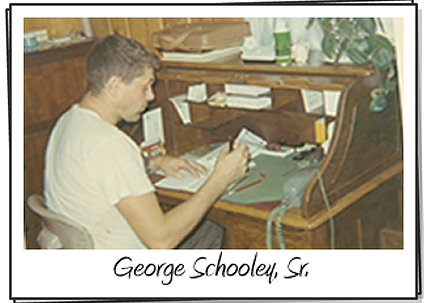 I am part of a company that will stand as a tribute to my Dad – to honor his Legacy. 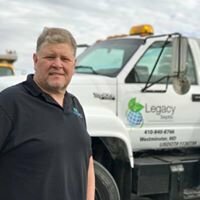 We had a sewage backup on a Saturday and we called Legacy. They came on Sunday and found the problem. Discussed price and we were on our way. They are very professional and caring people. They worked us into their schedule and kept us informed on the schedule and how we were doing. Could not have found a better company to deal with. We are very pleased with the work and employees professionalism. Whether we’re working with first time home buyers, existing property owners or home sellers who need to meet a closing deadline, Legacy has the heart of teacher. We want young couples to avoid entering into a purchase without knowing about any problems that lay below the surface. Existing property owners need to know every action that could make their septic system perform more efficiently and potential last years longer. Home sellers, especially retirees, should be able to assure potential buyers that they septic system they’re purchasing is well maintained and in the best possible condition. We meet these goals through our community education programs as well as personal onsite visits. We value your trust.